Full-color fold-over covers. Colors include Grey, Pink, and Green. ORDER HERE. BUY IN JAPAN HERE. In SAN DIEGO you can grab a copy of this single at M-THEORY MUSIC on Washington! Bleeding Gold Records is excited to be partnering with Border Series in the UK to release the split single from lo-fi godfather R. Stevie Moore and Japanese weirdo-poppers BOYS AGE. The LIMITED EDITION 7″ single will be available Oct 2nd. Check out this amazing video by KEN LINCK! Hat tip to Anders for the hustle. 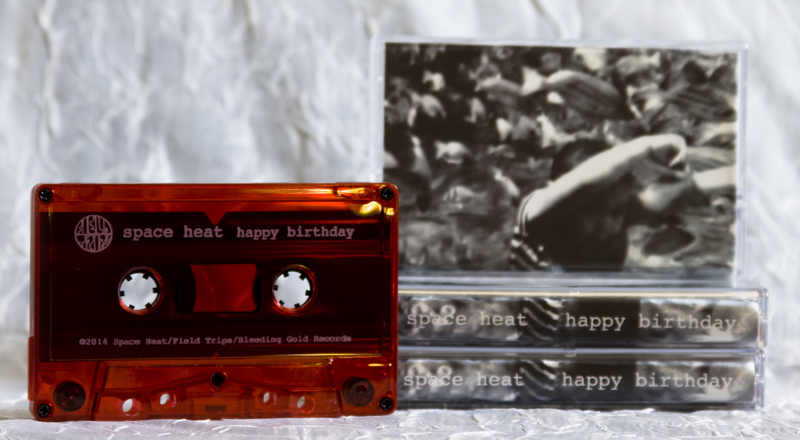 Bleeding Gold is happy to annoucne that a compilation album featuring a TAPE WAVES track has been released and we have a few copies for sale at our shop. 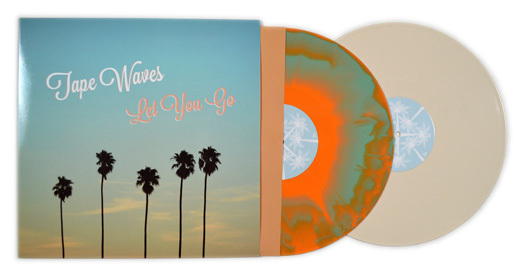 Very cool multi-color marbled 12″ vinyl in full-color, slimline jackets. 9 track compilation album from Pennsylvania’s HIDDEN GEM RECORDS featuring a track from the TAPE WAVES albun ‘Let You Go’. Other bands included are TEEEL, The Death of Pop, Young Pharoahs, the Skating Party, Night Panther, The Arctic Flow, Moon Pollen and Roman Ruins. SPACE HEAT have premiered a new video for the song ‘Place Inside‘ – the closing track of their debut EP “Happy Birthday“. Directed by Jason Low using Super 8 film during a roadtrip up the West Coast, the video is a kaleidoscope of visuals from San Luis Obispo, Santa Cruz, Monterey, San Francisco and Marin County, featuring the dreamy NightPop sounds of the San Diego-based band. 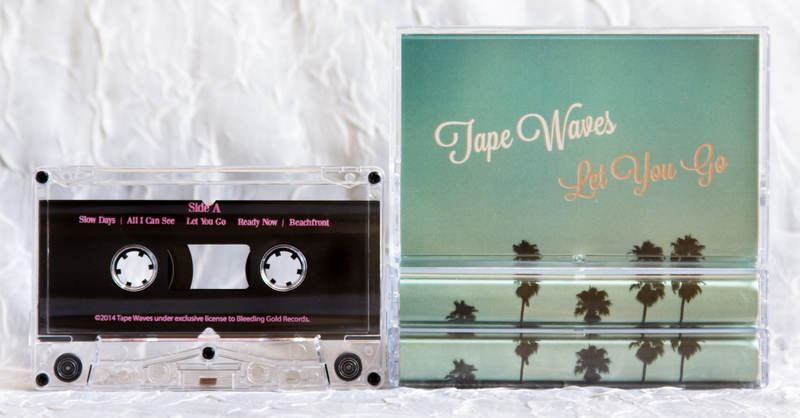 Tape Waves have released their debut album featuring the singles “Stay All Night” and “All I Can See”. Available on 12″ from the BGR webstore (only “Bone” color remains), from the band themselves on their BandCamp page, or from various outlets around the world [ UK | Japan | Taiwan ]. Available digitally at the BGR BandCamp, iTunes, Spotify and all of the usual digital and streaming outlets. 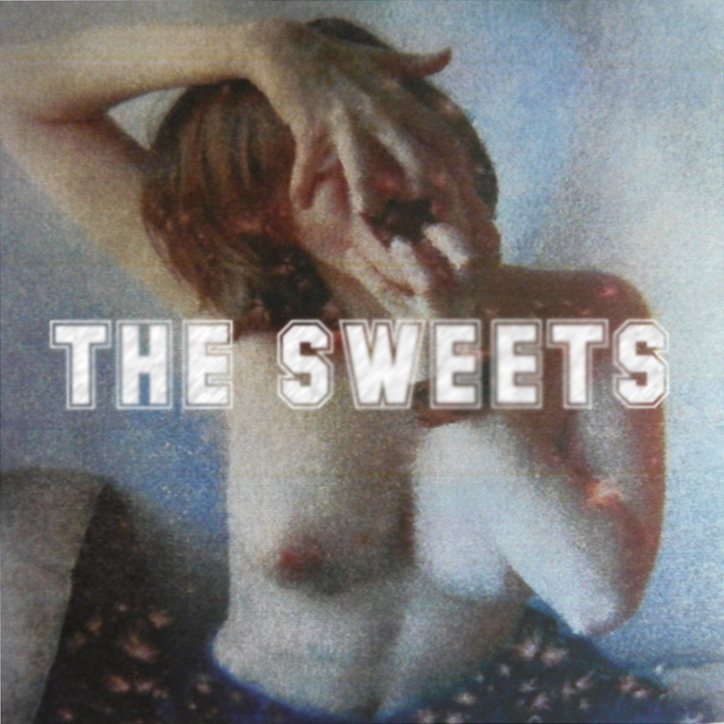 After spending most of 2013 releasing free digital EPs and various cassettes, North Carolina’s THE SWEETS have returned with 4 newly recorded favorites from their fast-growing catalog to press on this 45rpm 7″ single out on Bleeding Gold 24 March 2014. This edition of 250 copies features Glow-Blue-In-The-Dark vinyl with awesomely-pervy artwork by Rafal Karcz. Order the 7″ here. Digital here. Listen to “Sister” here. Listen to “He Is My Neighbor” here. And listen to “Mr. Key” here.